Rosewood is the City of Saskatoon’s first green-themed neighborhood, and home to an award winning 65 acre wetlands conservation area, managed and enhanced by Ducks Unlimited and the Saskatoon Wildlife Federation. Live close to nature while enjoying convenient proximity to all the big city amenities, “Country living within the City.” Rosewood is located south of Briarwood on 722 acres of prime east-side land. The new neighborhood is bordered by Boychuk Drive to the west, Highway #16 to the south, and by Taylor Street to the north. As the lead developer, Boychuk Investments Ltd. has worked in conjunction with the City of Saskatoon, Casa Blanca Holdings, Lakewood Estates Inc., and Rosewood Land Inc. to make this exciting new neighborhood concept a reality. Rosewood will incorporate all types of homes, including single family and multi family, from affordable housing all the way through to upscale custom luxury residences. Once complete there will be over 11,000 residents living in around 4300 homes, Saskatoon’s largest ever subdivision. Architectural controls throughout all Boychuk Investments owned lands in Rosewood are in place to help protect a homeowners investment. These controls will provide guidelines for the placement of the house on the lot, house style and size, roof lines, and all exterior finishing. The highlight of the Rosewood subdivision is the natural wetlands conservation area. A series of linear parks, with walking and bicycle paths, will provide access to numerous lakes within the wetlands area, as well as connect to a centrally located ‘village square’ with commercial developments, a community center, schools and ball diamonds. Ducks Unlimited and the Saskatoon Wildlife Federation have committed funds and expertise towards developing and conserving the wetlands. One of their conditions was that the natural features of the green space be maintained, and they have been recognized nationally for their efforts. 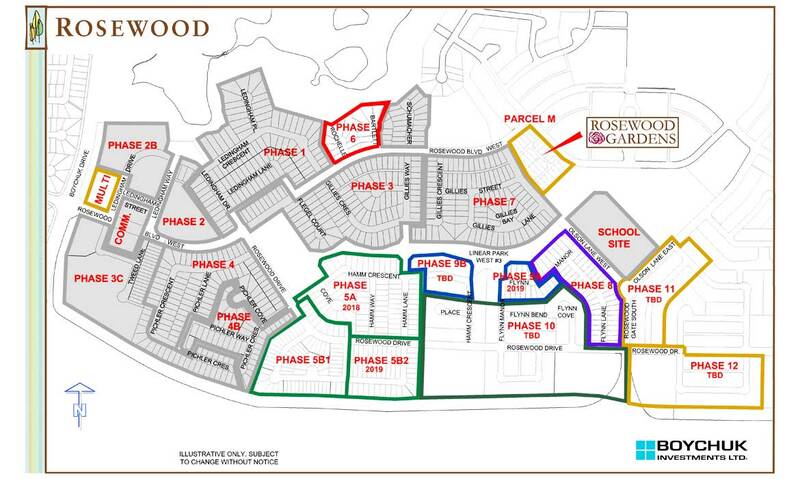 Not only do the wetlands provide green space and enjoyment for Rosewoods’ residents, they also work as a natural drainage system, filtering and diverting storm water for the entire subdivision. 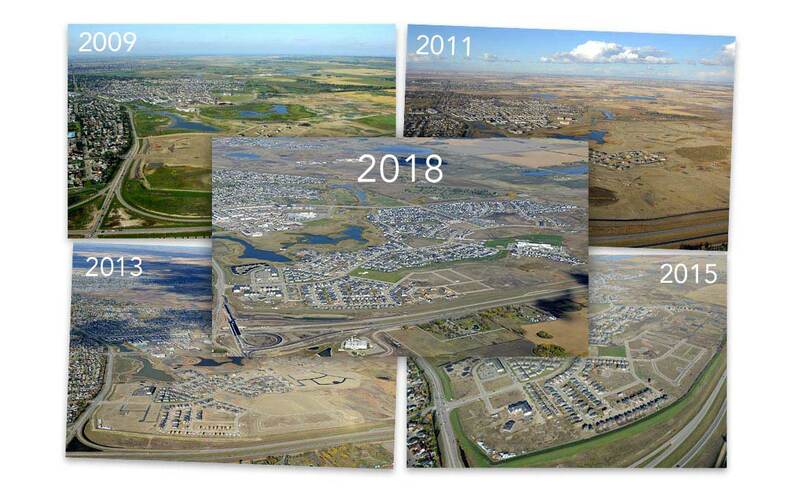 Boychuk Investments has more than seven decades of experience in land development within Saskatoon. Rosewood will some day soon stand along side our other wonderful neighborhoods such as College Park, Wildwood, Lakewood and Briarwood.